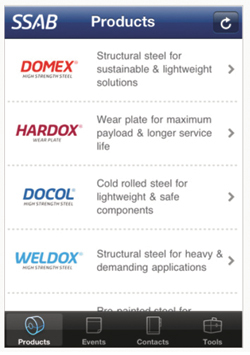 High-strength-steel provider SSAB has developed a free mobile app for Android and iPhone users to provide access to information about its steel alloys, instructions for steel processing, product datasheets and more. Download the app from the Apple Store or Google Play. 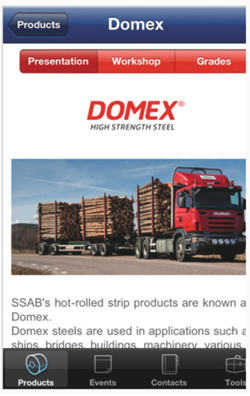 See also: Ssab Hardox Corp.